Virginia has one of the fastest-growing Hispanic immigrant populations in the country, yet, unlike states such as California, Texas, Arizona, and Florida, the Commonwealth has not historically had a large Hispanic presence. 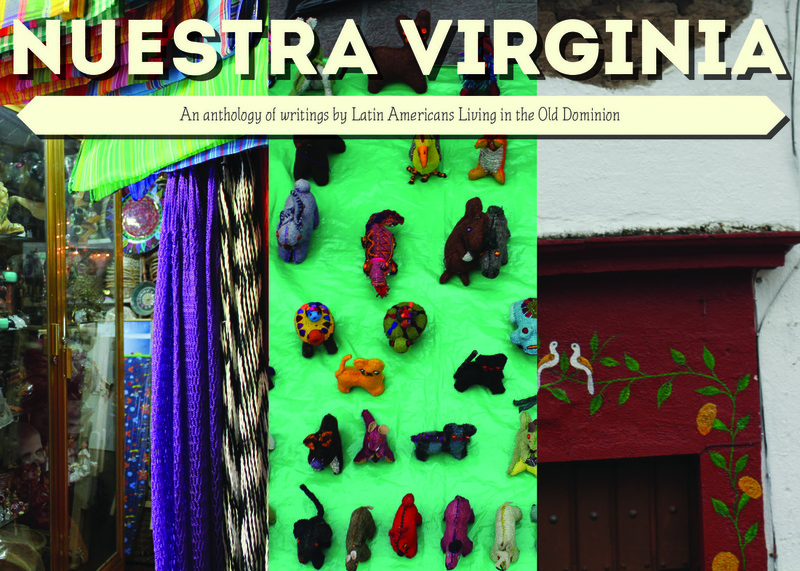 Nuestra Virginia, a forthcoming anthology of short stories, essays, and poems, seeks to give the state's Hispanic immigrants and their children the ink, the pages, and the distribution to share their ideas and experiences. Quail Bell Press & Productions will be accepting submissions for the book through February 2014. Nuestra Virginia is scheduled for a 2015 release and will be distributed across Virginia and Washington, D.C. Published writers will receive a byline, a contributor's copy, and royalties. 1. Format and email your piece(s) and cover letter according to "Submission & Cover Letter Guidelines." 2. Allow up to 6 months for review, when all writers will be notified of acceptance or rejection. Please email your submission with NUESTRA VIRGINIA: [your name] in the subject line. Include a brief cover letter in the body of the email, with your submission as a .DOC, .ODT, or .RTX file. You may submit up to 2 pieces. In your cover letter, specify your name, nationality, and brief explanation of Hispanic heritage. If you wish, you may also mention your previous writing experience and education. However, experienced authors will not be given any preference over new ones. Your piece will be evaluated upon its literary merit, social or historical relevance, and overall suitability for our anthology. All writers will receive a brief critique, regardless of piece acceptance or rejection, prior to book publication. Submissions sent without an accompanying reading fee will not be considered. Thank you for your time; we look forward to reading your submissions. Psst! Curious about other Latin American art projects The Quail Bell Crew has done? Check out Guadalajara in 35mm, Mixteco/RVA, and Sueños Tapatios. Coming soon: Palabras a Dios.